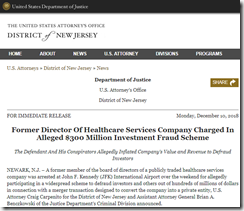 Federal officials arrest Pavandeep Bakhshi, a former Constellation Healthcare Technologies board member, for his role in a scheme that attempted to trick investors out of hundreds of millions meant to help take the RCM and practice management company private. Bakshi and three co-conspirators spent nearly two years attempting to inflate the value of CHT so as to lure investors and their money. They created fictitious companies that CHT supposedly acquired; and created sham bank records, income streams, and customers to show CHT’s glowing financial health. Bakshi and his fellow conspirators were fired or voluntarily left the company in 2017. CHT filed for bankruptcy in March, attributing its troubles in part to their misdeeds. Thanks to the following companies that recently supported HIStalk Practice. Click a logo for more information. Optometry practice management company Williams Group develops the Total Freedom program, which gives practice owners a way to transition day-to-day management of their business over to the Williams Group while still retaining financial control. 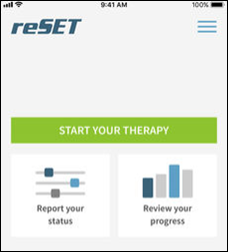 The FDA approves the ReSET-O app, a prescribable behavioral health tool from Pear Therapeutics that is intended for use alongside outpatient treatment to help patients maintain treatment protocols for opioid use. 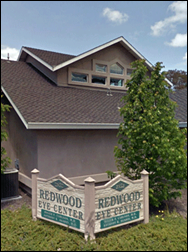 EHR-hosting vendor IT Lighthouse experiences a ransomware attack, prompting customer Redwood Eye Center (CA) (also an Allscripts customer) to notify over 16,000 patients of the breach and to switch vendors. 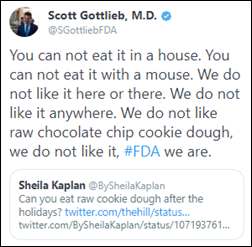 First lactating almonds, now cookie dough. This guy just has a knack for tweets. 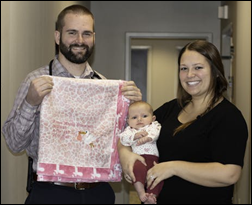 I know this is hospital-related, but I just couldn’t resist: Family physician Erik Bostrom, MD develops the sweet habit of sewing and embroidering blankets for each baby he delivers at Riverwood Healthcare Center in Minnesota. He has found special delight in the fact that his sewing machine is the same brand as his chainsaw. 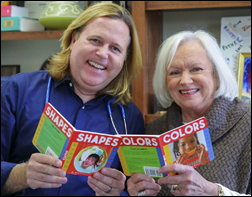 Healthwise discusses why its partnership with ZeOmega benefits clients. The New York State Dept. 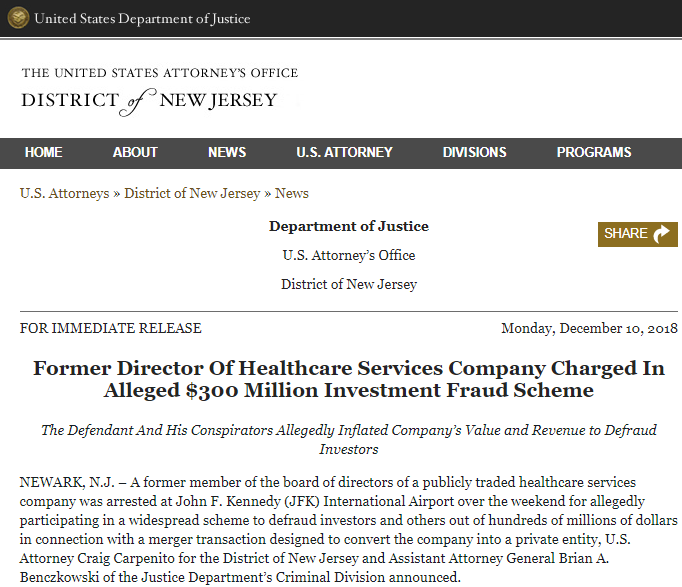 of Health files administrative charges against former CCS Oncology CEO and Chief Medical Director Won Sam Yi, MD over the deaths of six patients. 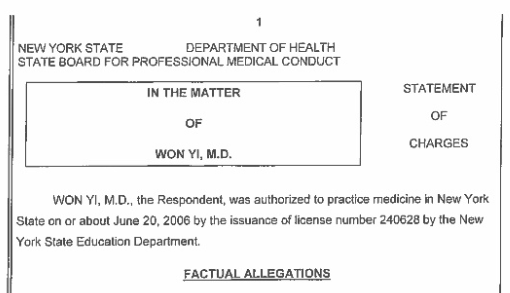 The department contends that Wu’s role in the deaths stemmed from gross negligence and incompetence, and a failure to adequately maintain their medical records. The chain of oncology practices, a CureMD EHR customer since 2015, closed in April after filing for bankruptcy. December 6 (Thursday) 11 ET. “Make the Most of Azure DevOps in Healthcare.” Sponsor: CitiusTech. Presenter: Harshal Sawant, practice lead for DevOps and mobile, CitiusTech. Enterprise IT teams are moving from large-scale, project-based system implementations to a continuously evolving and collaborative process that includes both development and business teams. This webinar will review healthcare DevOps trends and customer stories, describe key factors in implementing a DevOps practice, describe how to assess Azure DevOps, and lay out the steps needed to create an Azure DevOps execution plan. Lynn Westphal, MD (Stanford Medical School) joins tech-heavy women’s clinic Kindbody as CMO of reproductive endocrinology. Privia Health names Mark Foulke (Cigna-HealthSpring) EVP of transformational, value-based care. The Georgia Health Information Network hires Pam Matthews (SHIEC) as executive operating officer. Patagonia Health promotes Don Sargent to VP of customer experience. Aprima announces EHR integration capabilities with SE Healthcare’s data analytics. KAMMCO develops an opioid/controlled substances dashboard to give its HIE participants deeper insight into patient prescriptions that have been written and filled. KAMMCO has partnered with state medical societies to develop HIEs in seven states. 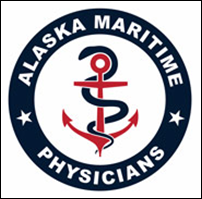 Alaska Maritime Physicians implements DrChrono’s mobile EHR to bolster its telemedicine services between patients at sea and its clinic in Anchorage. California-based IPA Nivano Physicians selects analytics and population health software from Qualmetrix. Nextech Systems adds Red Spot Interactive’s patient acquisition and retention software to its EHR and practice management technology for specialty practices. In California, the San Joaquin Community HIE selects Act.md’s care coordination technology as part of its Whole Person Care pilot program for Medicaid patients. The program will bring together primary and behavioral healthcare providers, social services, and other community partners to care for beneficiaries who use the most healthcare services but have the poorest outcomes. Enzyme Health raises $1.7 million in a seed funding round led by Silverton Partners. The Austin, TX-based startup has developed an online marketplace to match clinicians with job openings at telemedicine companies and brick-and-mortar facilities. Of 2,300 surveyed patients, University of Michigan researchers find that only one third used a patient portal in 2017. Those who didn’t were typically not offered access to a portal, male, over 65, on Medicaid, and lacking a college education. Of those that did use a portal, 95 percent were offered access, proving the proverbial point that you can’t use what you don’t know exists. Of those that didn’t use a portal, most cited a desire to speak directly with their provider, or had no need to access one as opposed to technological barriers, leading researchers to conclude that portal use seems to be more about awareness and comfort levels than computer know-how. Aprima announces EHR integration with SE Healthcare’s Physician Empowerment Suite software. 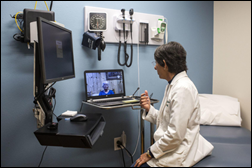 Fifteen percent of physicians report using telemedicine as part of their practice, while 11 percent have used it for consults with colleagues. Radiologists, psychiatrists, and cardiologists were the greatest users by specialty for patient interactions. Video conferencing was the most preferred method. 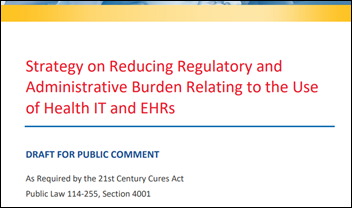 Perhaps most relevant to physician practices is the fact that MDs in such organizations had a lower rate of usage than did their employed counterparts, suggesting that cost of implementation may be hindering smaller practices from adopting the technology. December 5 (Wednesday) 1 ET. “Tapping Into the Potential of Natural Language Processing in Healthcare.” Sponsor: Health Catalyst. Presenters: Wendy Chapman, PhD, chair of the department of biomedical informatics, University of Utah School of Medicine; Mike Dow, senior director of product development, Health Catalyst. This webinar will provide an NLP primer, sharing principle-driven stories so you can get going with NLP whether you are just beginning or considering processes, tools, or how to build support with key leadership. Dr. Chapman’s teams have demonstrated phenotyping for precision medicine, quality improvement, and decision support, while Mr. Dow’s group helps organizations realize statistical insight by incorporating text notes along with discrete data analysis. Join us to better understand the potential of NLP through existing applications, the challenges of making NLP a real and scalable solution, and the concrete actions you can take to use NLP for the good of your organization. The Acacia Network of six FQHCs in New York City goes live on Clearwave’s patient check-in and insurance verification technology. 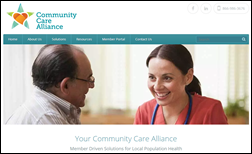 The Colorado-based Community Care Alliance will offer its clinically integrated network of rural providers population health management software from The Garage. 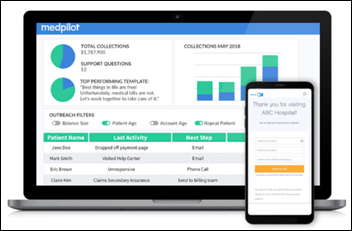 Cedars-Sinai Accelerator graduate MedPilot wraps up a seed funding round of $1.7 million with help from the health system, Hudson River Capital Partners, Valley Growth Ventures, and Techstars. The startup, which has developed patient billing and engagement software, will use the funding for new hires and product development. Telemedicine doctors point out that while working from home can be a plus, especially when it comes to avoiding burnout, they sometimes miss the opportunities for curbside consults: “That flexibility just isn’t there in a traditional brick-and-mortar practice,” says Doctor on Demand provider Heather Hawthorne, MD, who adds that it can be a bit isolating, too. 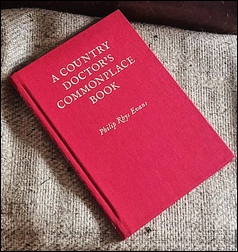 “If you talk to physicians in other settings, a big part of taking care of patients is (talking to) your colleague like, ‘Hey, I don’t know what this rash is,’ and you’ll ask the doctor in the next exam room. It’s kind of isolated here. I don’t have that.” Physicians have increased their availability for virtual visits, either moonlighting or moving into telemedicine full time. The AAFP reports that 20 percent of their members consulted via telemedicine in 2017, a steady increase from 15 percent three years prior. The local paper profiles the work Highgate Medical Group in New York is doing to add behavioral healthcare to its primary care services. David Pawlowski, MD has said integration of the two services has been key, including making sure mental health and social service consults are documented in the patient’s EHR so that the entire care team is on the same page. 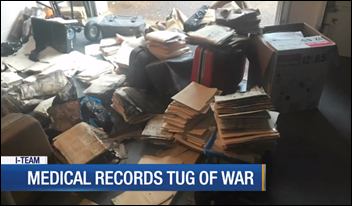 Residents of a retired physician’s home in California essentially take thousands of her medical records hostage after finding them spilling out of boxes in a storage area in the garage. Believing the privacy of the patients to be more important than the physician’s legal right to the records, the couple boxed them up, put them in a rented storage unit, and filed a complaint with HHS. The agency has told the couple, who have since moved out of the home, to return the records – a directive they have ignored thus far. The physician has filed a police report claiming they were stolen. Reducing EHR documentation time and effort. Reducing the time and effort needed to meet regulatory reporting requirements. Improving EHR functionality and ease of use. Comments are due January 28. The North Carolina Department of Health and Human Services taps into Appriss Health’s PMP Gateway to connect provider EHRs and pharmacy management systems with the state’s Controlled Substances Reporting System. Users will also have access to the company’s NarxCare patient risk score tool. 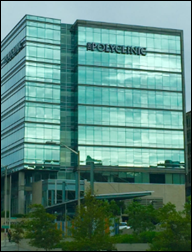 UnitedHealth Group will acquire The Polyclinic, a Seattle-based physicians group founded over 100 years ago, via its OptumHealth subsidiary. Polyclinic CEO Lloyd David cited a lack of funding and resources for new technologies as one of the reasons behind the clinic’s decision to put itself up for sale. 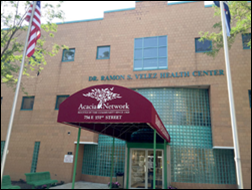 “We just realized a couple of years ago,” he said, “doing our strategic plan, that it was going to take more capital than we have, than the doctors have, to finance what is ahead both in terms of growth and in terms of innovation.” The clinic implemented Epic nine years ago through a software-sharing agreement with Swedish Medical Center. Global Partnership for Telehealth adds remote patient monitoring software and hardware from Cloud Dx to its line of managed telemedicine services. 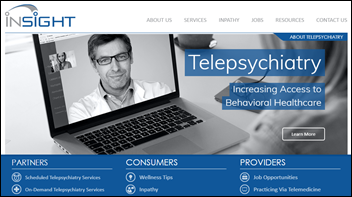 InSight Telepsychiatry secures funding from Harbour Point Capital through a recapitalization. The company, which has been around since 1999, offers virtual mental health services to consumers, community-based providers, and emergency departments. It takes 32 clicks to order and record one patient’s flu shot at the internal medicine practice of Christine Sinsky, MD, a number made more onerous at practices where only the physician is permitted to enter the order. 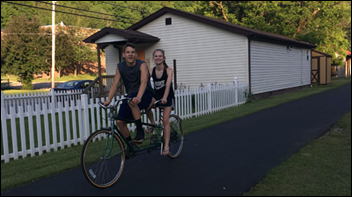 “Libraries are so much more than just books:” Health Affairs highlights a library in rural Hundred, West Virginia that allows patrons to check out bikes, helmets, horns, and baby trailers. Director Tina McBee hopes bike access will help the community tackle its high obesity rate. The town is one of a dozen across the country now offering the perk. 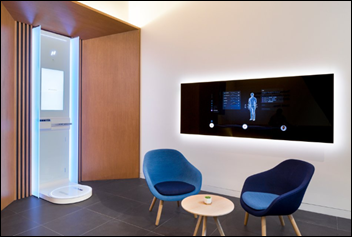 Managed care company Beacon Health Options creates a new subsidiary, Beacon Care Services, to spearhead the launch of mental health clinics in retail settings. The company opened its first clinic in a Texas-based Walmart Care Clinic earlier this month, and plans to open additional clinics in areas that are underserved and/or in rural locations. Virtual consults will be available to patients if clinic personnel need additional help. 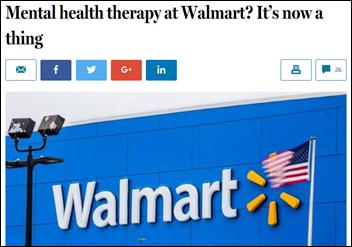 Beacon Health President and CEO Russell Petrella says the decision to open a clinic in a place like Walmart is part of the company’s goal to mainstream behavioral health, offering easy access to services in a familiar environment. Project ECHO extends its telementoring services to primary care physicians in Washington, DC and Baltimore who care for diabetic patients. The program will offer participating providers educational sessions on how to manage complex diabetes cases and establish team-based care review meetings. George Washington School of Medicine students will also take part in preparation for opening their own independent practices after graduation. Governor Steve Bullock and the Montana Healthcare Foundation allocate $5 million to a behavioral health program that will improve access and outcomes for pregnant and postpartum women suffering from mental health issues and substance abuse. Funding from the Perinatal Behavioral Health Initiative will help eligible practices develop care coordination teams; foster peer support; and offer screening, intervention, and referral to additional treatment and social services, including the state’s First Year’s Initiative for young families. It seems likely that the program will encourage the use of telemedicine, given that Montana has just over 2,100 physicians providing direct care to just over 1 million residents, many of whom live in rural areas. DizzyDoctor announces GA of an app that can in real time document vertigo-related symptoms and upload them to the company’s website for diagnosis. Designer Ian Purcell, MD says the company’s eye-tracking algorithm will be eventually be used to help diagnose other conditions. Healthwise will exhibit at the NextGen Patient Experience November 27-29 in San Diego.